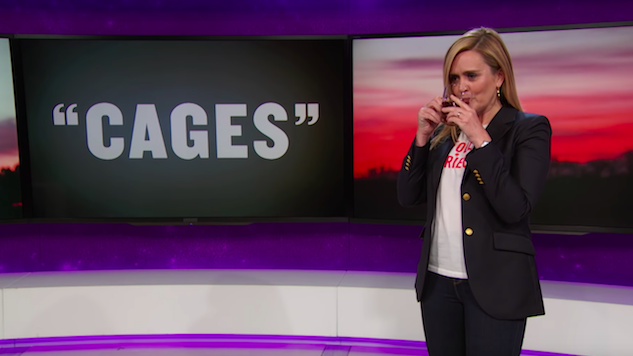 Watch Samantha Bee Call Trump's Attempt at a Family Separation Fix "the Next Worst Thing"
Even though Trump’s executive order technically put an end to his family separation policy, we should not exactly be rejoicing, as Samantha Bee pointed out on Full Frontal Wednesday night. Bee, being the “radical leftist” she is, goes on to say that any real solution to this issue “has to start with the premise that children should not go to jail.” A revolutionary concept, honestly. After comparing Kirstjen Nielsen to Dolores Umbridge, Bee also went after the border patrol’s apparent discomfort with the word “cages” being used to describe their detainment methods. “Who knew conservatives were so uncomfortable with the c-word?” Bee said. “I should make note of that.” Watch the full segment below.